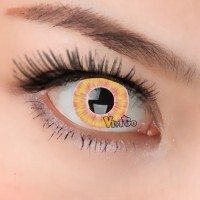 Shock your friends with our Contact Lenses. 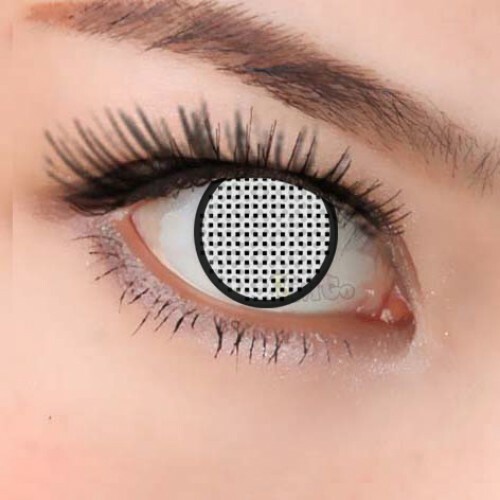 These amazing black contact lenses have a mesh design that completely covers your iris and pupil, giving you blacked-out eyes. You can see through the mesh but it looks opaque to others, perfect for Halloween and gothic style. Because of their mesh design these lenses are recommended for special events rather than everyday wear. Contact Lenses combine all-day comfort with unique contact lens designs.